By way of a large national population study, researchers are looking for increasingly better ways of determining which individuals run the greatest risk of cardiovascular and pulmonary diseases. The study is unique: some of the examinations have never been performed on so many participants. Across Sweden, close to 30,000 people have in recent years taken part in a unique population study. As a result of the study, which is called SCAPIS, a unique medical knowledge bank is being developed. Six university hospitals have been involved, including Linköping’s. Data collection is now finished in Linköping, and 5058 people have participated. Carl Johan ÖstgrenIn Linköping Municipality, roughly every second person between the ages of 50 and 64 was invited to take part. The participation rate is high; 58 per cent of the randomly selected individuals agreed to be involved. “That rate is slightly higher than in the rest of the country, where it was about 50 per cent. The catchment area is very uniform, which helps raise the participation level. 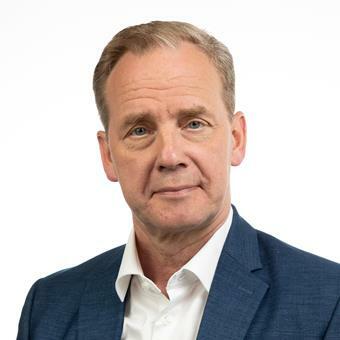 It’s great that so many people want to help with the research, and we have almost no dropout amongst the participants”, says Carl Johan Östgren, director of SCAPIS in Linköping and professor of general medicine at Linköping University. The study included testing of lung function, ultrasound examinations of heart and carotid arteries, blood tests and computer tomography. The aim is discoveries that make it possible to predict and prevent cardiovascular and pulmonary diseases. Some technologies and examinations have never been used or done on this many participants, which makes the study unique in several ways. “No previous study using computer tomography on the coronary artery has had 30,000 participants. SCAPIS is also the biggest in terms of measuring physical activity over a one-week period using an advanced type of activity meter, an accelerometer”, says Carl Johan Östgren. The study protocol in the SCAPIS study has been identical at all the study sites, so that the results can be comparable. For instance, the same computer tomography machine was used, and its software was not even upgraded while the study was under way. “In addition to the study protocol, it has been possible to carry out additional examinations, and we have done quite a few examinations, of which some are unique to Linköping”, says Carl Johan Östgren. Additional examinations conducted in Linköping were: measuring the microcirculation in the skin using a completely new method; the participants measuring their blood pressure at home; and the researchers collecting hair strands, so that at a later stage they can analyse traces of cortisol in the hair. Now SCAPIS is entering a phase where all the data is to be handled and combined to a single huge database. “There is a national team that works with merging the data in a way that is quality ensured. We have a lot of research ahead of us: planning which work to prioritise and who will work with what at the six university hospitals and universities”, explains Carl Johan Östgren. A computer file containing information on all 30,000 participants will be ready by the summer of 2019. A cross section of data from the entire participant group should be finished by the autumn of 2019. Organisations that fund large-scale population studies often require that the data collected be made publicly available. This also applies to SCAPIS. “Researchers can already apply for access to the material. At a later stage, the database will be available to both researchers and the public”, says Carl Johan Östgren.